As Oscar season appears on a, err…distant horizon, The Weinstein Company are revving up one of their main contenders, The Butler. In the last year, set photos of various cast members suited, booted and dressed up to the nines in prosthetics have landed, showcasing the film’s mammoth scale. Today, Lee Daniels’ upcoming historical drama now has its first trailer online, courtesy of Yahoo! Movies. There are few surprises in the first trailer. It’s littered with character-affirming aphorisms cut together with action depicting specific presidential epochs. Footage of every president that butler Eugene Allen served makes for a good indication of the calibre of acting talent attached. There’s no doubt that at least one cast member will receive an Oscar nod. Oprah Winfrey as his wife dishes out a damn good slap which could seal the deal for her. Inspired by a Washington Post article written by Wil Haygood, A Butler Served Well By This Election, the film’s screenplay was penned by Daniels and Danny Strong (writer for The Hunger Games: Mockingjay – Part 1 and Part 2). The Butler tells the true story of Eugene Allen, the butler who served at the White House between 1952 and 1986 to a whopping eight presidents. From his point of view and duration of tenure, the film is able to offer a look at a timeline during which big societal change was constant. From the civil rights movement to Vietnam, the scope of the film spans across Allen’s entire life – and delves into how his family dealt with so many changes. Forest Whitaker stars as Cecil Gaines (the adopted moniker for Allen used in the film), alongside an impressive ensemble cast. Rounding it out are John Cusack, Cuba Gooding Jr., Alan Rickman, Jane Fonda, Vanessa Redgrave, Alex Pettyfer, James Marsden, Liev Schreiber, Robin Williams, Terrence Howard and Melissa Leo. 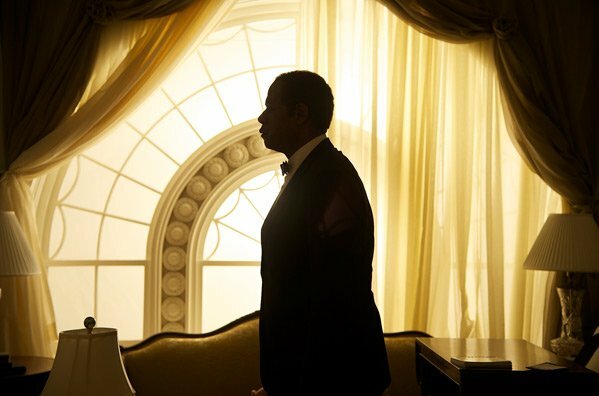 The Butler is set for release on October 18th.